The student body at Eastside Prep has been consistently growing over the past few years. 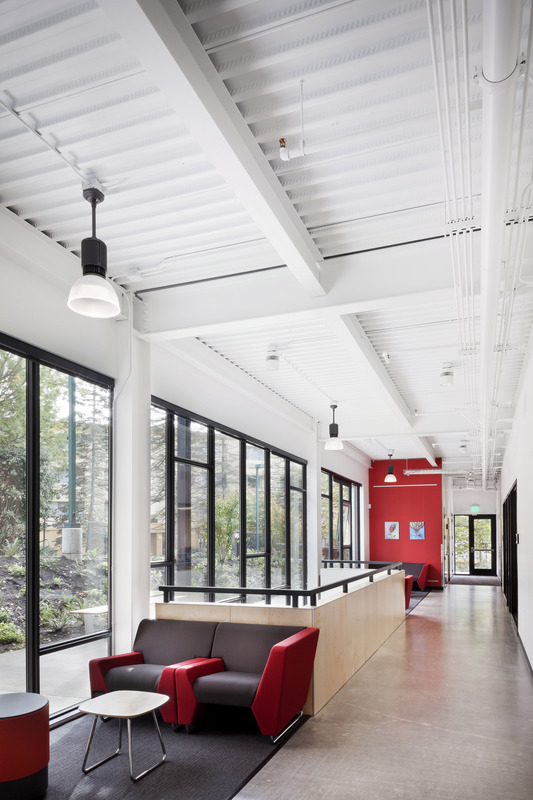 In efforts to accommodate the growth, Eastside Prep determined that they could improve the school by demolishing one of the existing buildings on the campus and construct a new science and gymnasium facility to fit their needs called The Macaluso Academic Collaborative (TMAC). 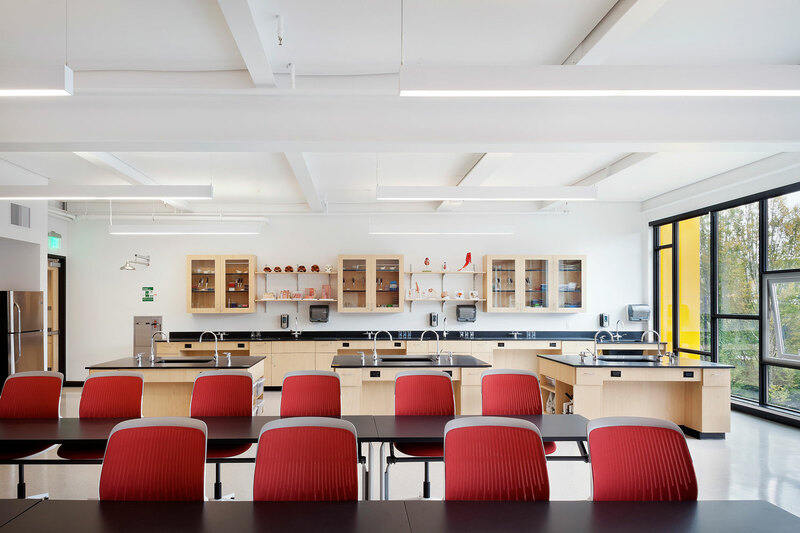 After complete demolition of an original structure, a 32,000 sf, 5-story building that includes biology, chemistry, physics, machine shop, 3D printing lab and a full-sized gymnasium on the top level was constructed. The building also includes several collaboration spaces for the students to use throughout the day. 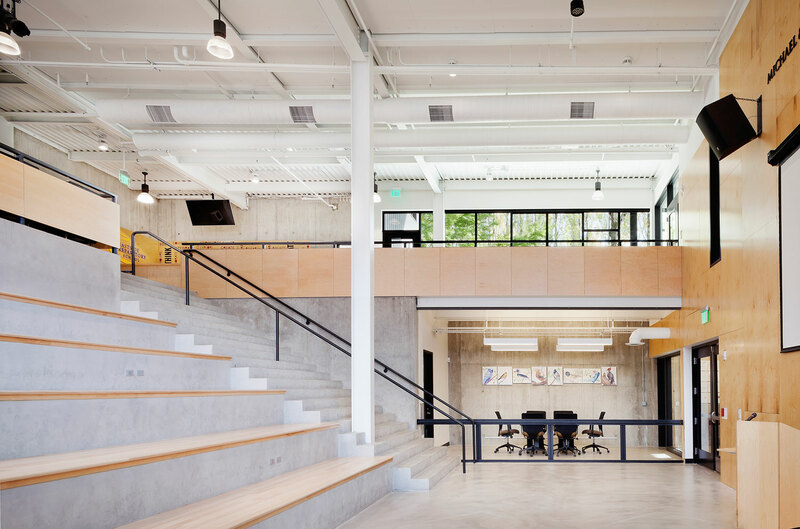 The building has a combination of exposed structural steel, exposed structural concrete walls with polished concrete floors, and bright carpet and paint. 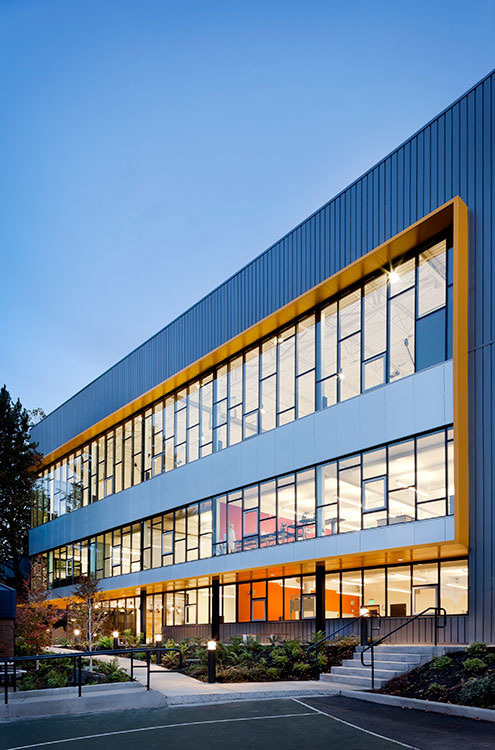 The exterior is a combination of glass, light gauge metal panel, and flat aluminum panels. 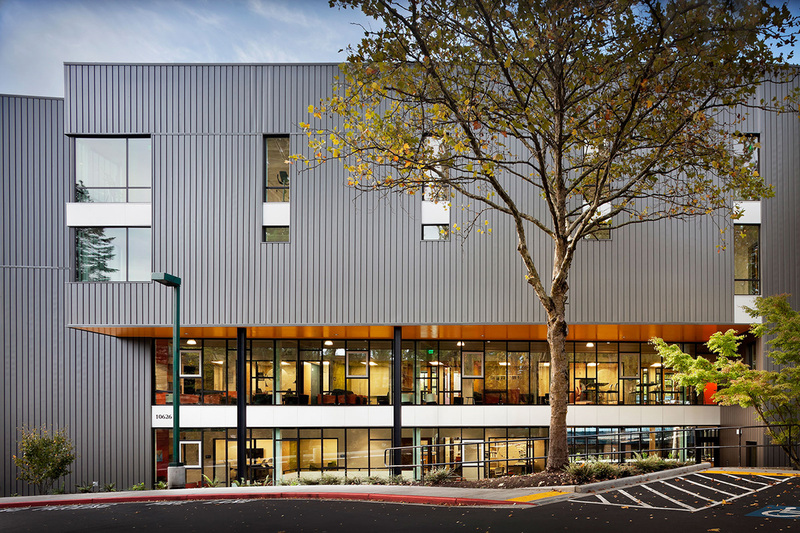 The three different exterior finishes were combined in a way to create an interesting pattern, while realizing the cost savings associated with light gauge metal panels. 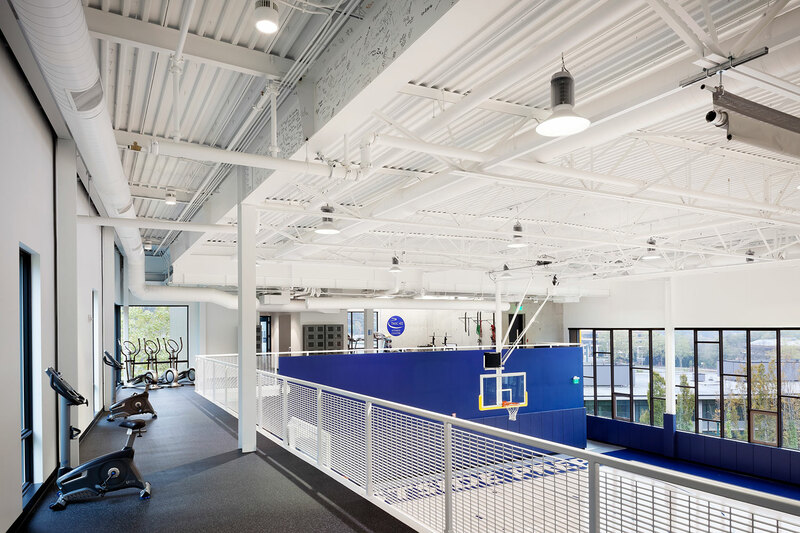 To stop the transfer of sound from the gym on the third floor to the levels below, the wood gym floor was installed on top of a floating 4” concrete spring isolated slab poured on-top of the structural four-inch concrete filled pan deck. 500 spring isolators in the floating slab created a two-inch air gap between the structural and isolated slabs.